Aggregates play a major role in concrete mixes. These materials hold the concrete together, influencing the workability of wet concrete and the durability of the finished product. Furthermore, the characteristics of included aggregates directly affect the performance of a concrete mix. Everyone knows cement as a concrete ingredient, but it might surprise you to learn that aggregates such as sand and gravel comprise up to 80 percent of most concrete mixes. What Aggregates? How Are They Used In Concrete? In concrete, aggregates are the granular substances that hold a concrete mix together in its solid form. 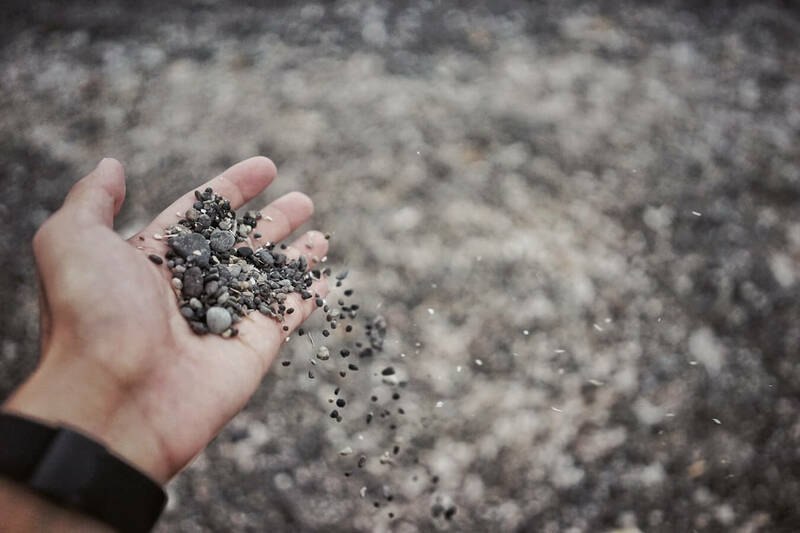 Aggregates vary in size and shape, ranging from fine sand to coarse gravel and crushed stone. When combined with cement and water, aggregates create a bond that holds concrete mixes together. The best concrete mixes are low-cost, easy to work with, easy to pump, and don’t shrink once they dry. Easier said than done, in some cases. The gradation, size, weight, and moisture content of aggregates directly affect the character and performance of your final concrete mix. If cost-effectiveness is a top-of-mind concern, select the largest allowable aggregate size. Using larger, coarse aggregates typically reduces the total amount of cement (the most expensive ingredient in a given mix) you need to use. Using less cement also means less water in the final mix, assuming the water-cement ration stays constant. In turn, this helps reduce the risk of shrinkage and cracking during the curing stage. As mentioned earlier, though, not all aggregates are created equal. The aggregates you choose contribute to overall consistency, strength, workability, and durability. High-quality aggregates are clean, hard, and strong with durable particles. Ideally, you want aggregates that are free of clay coatings, harmful chemicals, and other contaminants that affect the hydration of cement and reduce the paste-aggregate bond. Have too much chert, a type of porous aggregate that absorbs water. Chert freezes and expands in the winter, causing concrete to crack. This often results in pop-outs, holes or indentations in the concrete’s surface. Since aggregates absorb water, it’s important to take this into consideration when mixing concrete. The moisture contribution or absorption by aggregates will affect the water-cement ratio and the overall strength of the concrete. Ready-mix concrete uses aggregates that are in a saturated surface dry (SSD) condition. This means their absorption is satisfied, so the aggregates won’t add or take away moisture from the concrete mix. The proportions of coarse and fine aggregates you use in your concrete mix will depend on the aggregate characteristics, the placement method, and the desired finish. The fineness of aggregates is measured using the fineness modulus (FM). The FM for fine aggregates should be within the range of 2.3 to 3.1. Aggregates that are too fine will have a high water demand, and will also result in a sticky concrete mix. One-fifth of the narrowest dimension of a reinforcement. When aggregates are too coarse, they create harsh concrete mixes with low workability. This makes the concrete more difficult to place, consolidate, and finish. The ratio of aggregates to sand to cement determines concrete’s compressive strength. Compressive strength measures concrete’s resistance to downward force in pounds per square inch (psi). Concrete mixes typically range in compressive strength from 3000 psi to 4000 psi. The higher the compressive strength, the more weight the concrete can support. The amount of water you use to mix the concrete also affects this strength. The strength of concrete is inversely proportional to the water-cement ratio, which is to say, the more water you add to mix the concrete, the weaker the final product. Less water leads to a stronger concrete mix but also makes for a more difficult workability. It normally takes 28 days for concrete to cure and reach its optimal compressive strength, but some mixes cure faster. Make sure to measure out the dry materials accurately before mixing, and add a bit of water at a time to achieve the desired workability. Working with aggregates might seem like a headache waiting to happen, but knowing a thing or two goes a long way towards helping your finished concrete project stand the test of time.